Walking aimlessly through the narrow streets of Malta is one of my favourite activities when we’re on the islands. Give me comfy shoes and a bottle of water and I’m ready to brave the heat. Valletta, with its imposing architecture, will always be my first destination when I need a break of my beach life. I just love strolling along the limestone facades, shining golden in the late afternoon sun. Discovering new vegetable shops, peaking into little baroque chapels, or simply looking at the stunning grand palazzi built in the past centuries is one of the most relaxing things I can think of. 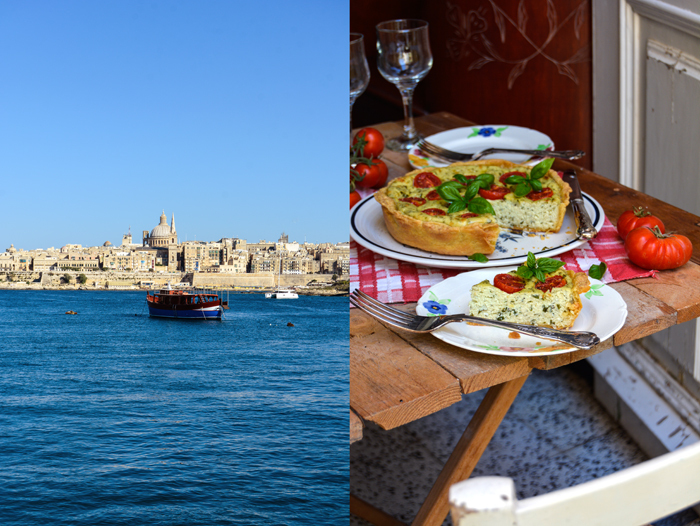 To extend my circle of adventures, I take the ferry that connects Valletta and Sliema on one side of the capital or I catch the boat that sails across The Grand Harbour on the other side, towards The Three Cities: Vittoriosa, Senglea and Cospicua. If I need a complete change of scenery, I go to the sister islands Comino or Gozo, and that’s what we did last weekend. We rented a huge farmhouse, which our family of 20 people filled easily with Mediterranean craziness. The village of Ghasri got to hear lots of laughter, accompanied by a water ballon fight, a luscious BBQ, and a late night pizza picnic at the pool. 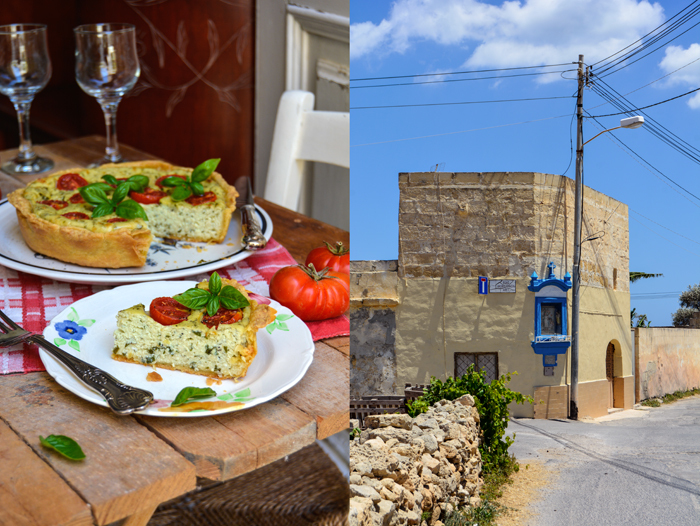 Our extensive snorkeling trips to the breathtaking Wied il–Għasri, Reqqa Point, and Qbajjar were fabulous. I had never been to Reqqa before, but it’s one of the most spectacular spots I’ve seen so far. The water is very, very deep and the dancing sunbeams that cut through the dark blue look like lightsabers – it’s hypnotic. We finished our trip with a visit to the Cini family at the Xwejni Salt Pans where I always buy enough salt for a year of cooking. Their passion for their craft, their love for the salt from the sea, and their dedication to nature never ceases to amaze me. 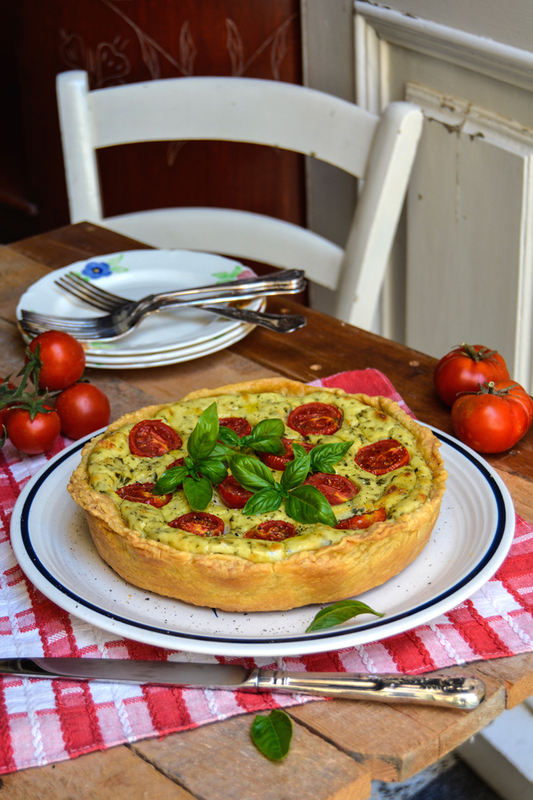 Makes 1 ( 20cm / 8″) quiche, serves 4. Prepare the dough, form a thick disc, wrap in cling film, and put in the freezer for about 15 minutes. 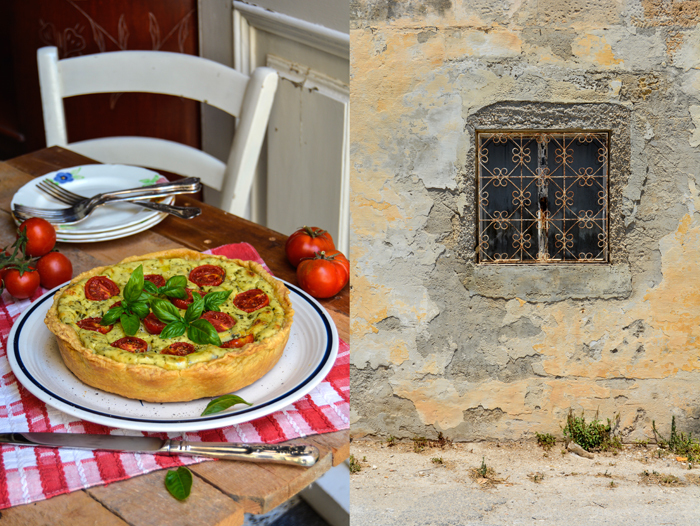 Roll out the dough between cling film and line a 20cm / 8″ pie or quiche form with the pastry. Push the pastry into the pie form and prick with a fork. Bake for about 12 minutes or until golden. Take the pie form out of the oven and turn the heat down to 190°C / 375°F. In a medium bowl, whisk the ricotta, eggs, butter, Parmesan, basil, lemon zest, salt, and pepper until well combined. 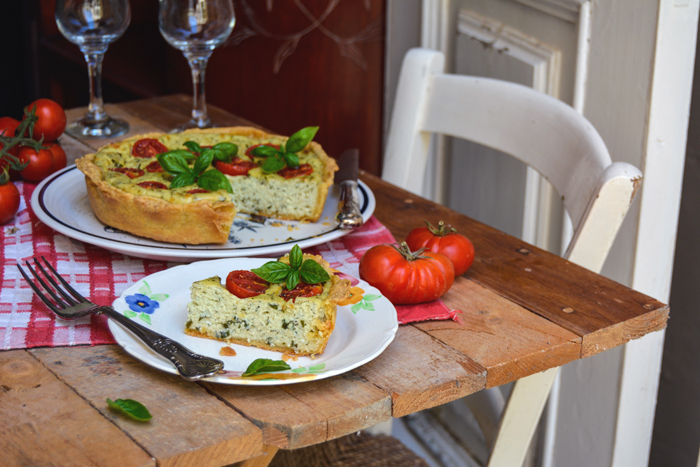 Pour the ricotta on top of the pre-baked pastry, even it out, and arrange the tomatoes on top. Bake for about 45-50 minutes or until golden and the ricotta is just firm. 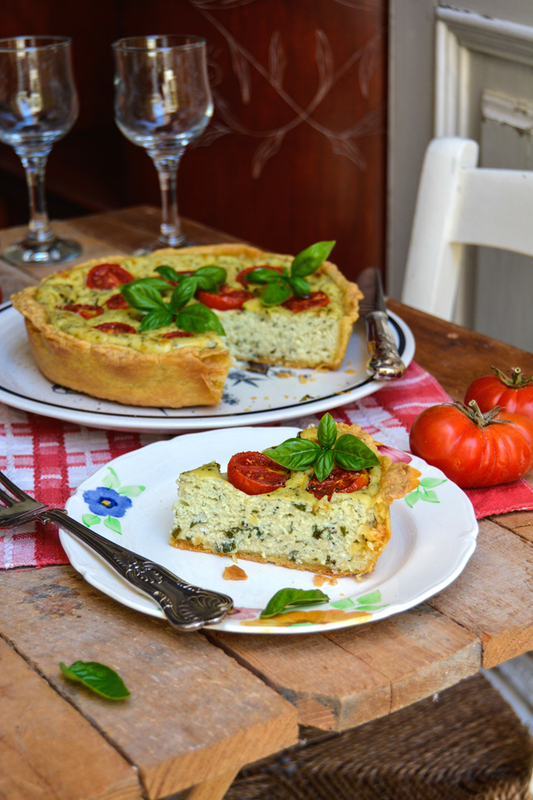 Let the quiche cool for a few minutes, sprinkle with fresh basil leaves, and serve warm or cold. 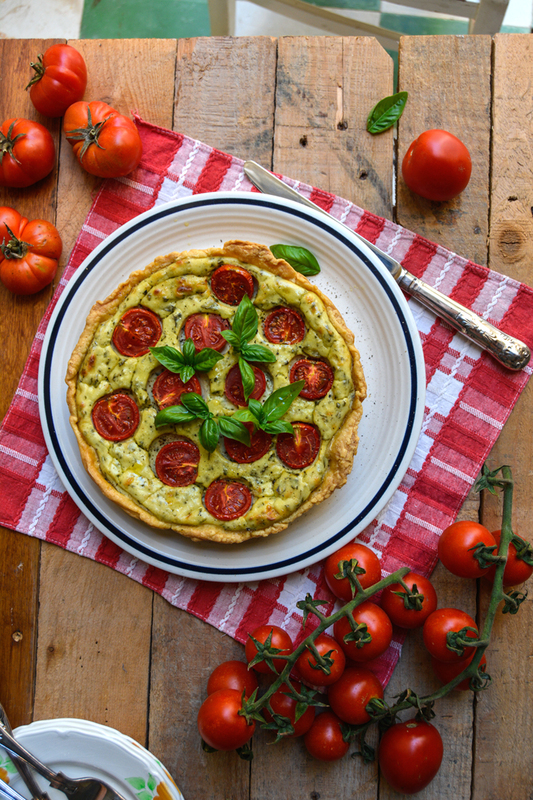 Meike, this looks so delicious, and we are sourcing the most delicious tomatoes at our farmers’ markets, so must make this Sunday!! 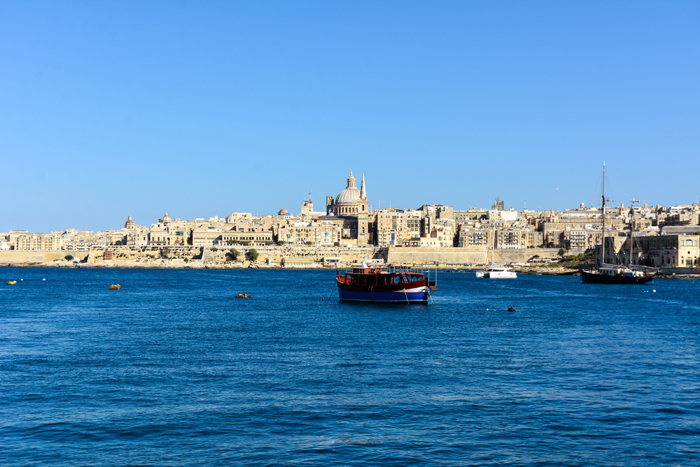 Malta looks so beautiful, and I love hearing about your time there! Thank you so much, Susan!! 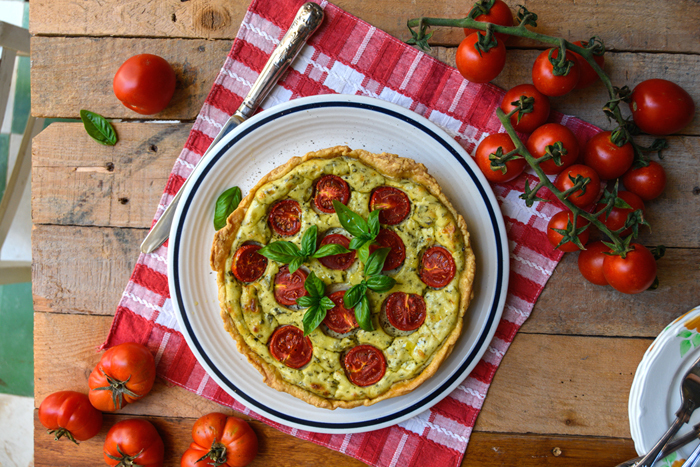 I love quiche in general, but this one is perfect for summer – cold and warm! 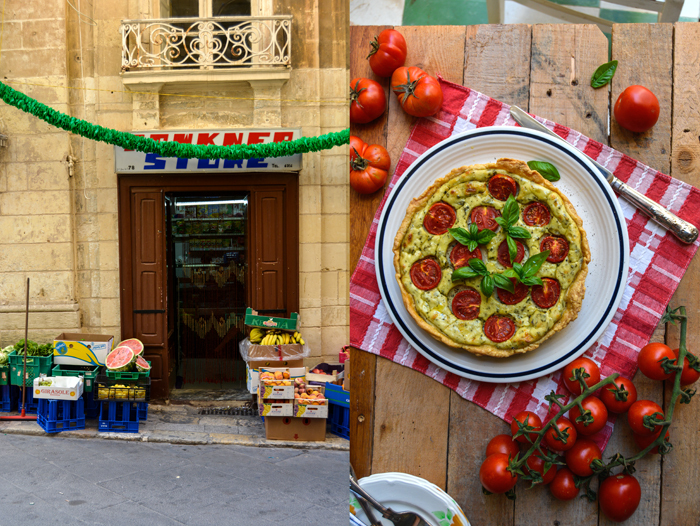 Being in Malta is so inspiring, cooking, taking pictures, writing, it all comes so easily when I’m in the Mediterranean!